Vishesh Course is specially designed of students who are currently studying in 12th class and are willing to take break for preparation of IIT JEE examination. It is an immediate help to those students who have not undergone specialised Coaching/ Training for JEE (Main+Advanced) during their Class XI & XII. Our objective is to help students do focussed study for 1 year to utilise remaining time for preparation of IIT JEE. What are the Course Benefits ? Special classes are designed for other exams like Olympiads, KVPY. Study material are provided and regular tests are conducted. On the basis of NCERT and State Boards, worksheets for students are created. This runs parallel with the course curriculum. Orientation classes are conducted for students to motivate them and make them familiar with the institute. Every student’s progress is tracked by giving a constant feedback on their performance in the tests. Regular feedbacks are taken by the students in order to improve the learning process qualitatively and listen to all student’s queries. Topic-wise study material with all the key concepts, problems for practice and important questions are updated regularly. 12th class students who want to repeat or start afresh for IIT JEE preparation. Students seeking better career opportunities after graduating from IIT. Students moving towards a specific goal of building a strong foundation. What are the benefits for meritorious students ? Resonance played an imperative part in my success. The staff here is exceptionally kind and liberal. They were committed towards the achievement of each student they educate. Teachers constantly bolstered me and were accessible for clearing my questions and fortifying my weak topics. I wish to Join IIT Bombay and study Computer Science. For IIT aspirants, I would state that have confidence in your organization and have faith in yourself. Take every suggestion given by your teachers seriously. I joined Resonance in class eleventh (2016). I am extremely happy and thankful for my Rank in JEE Mains 2018. The teachers and staff at Resonance were extremely useful to me and bolstered me in scholarly and non-scholastic zones. Every one of my questions was cleared in time. I want to thank my folks, teachers and all my well-wishers who persuaded and bolstered me. Besides, you ought to be exceptionally specific about your tests. Most importantly, have confidence in yourself and set your mind on your objective, you will definitely accomplish it. The examination material at Resonance is great and exact. It helped in building my nuts and bolts and helped me to propel my aptitude also. The tests directed here are fundamentally of the same as the level to JEE and are extremely precise. The nature of material is great and has an assortment of questions. 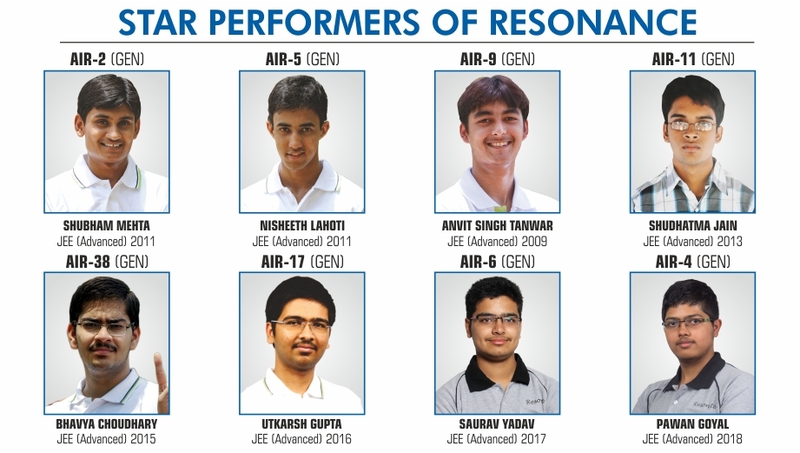 All the academic and non-academic staff of Resonance has been steady and kind.